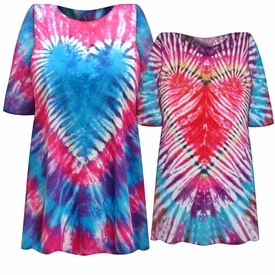 Rainbow Heart Tie Dye Plus Size T-Shirts. Available in multiple heart color options. 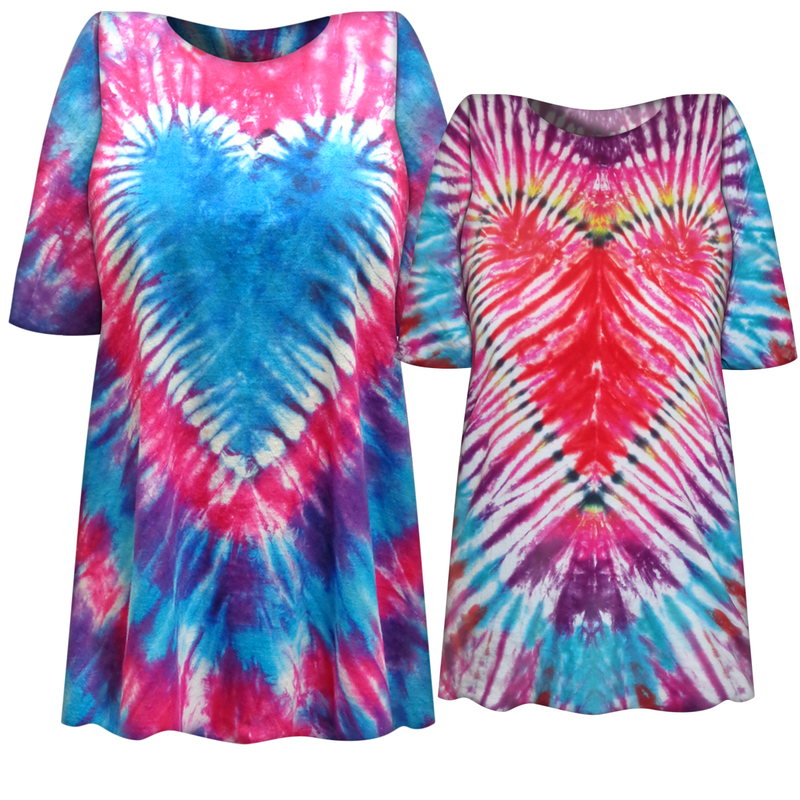 Stand out in this unique heart shaped tie dye pattern created from mostly red, pink, purple & blue colors.